Your data feed is the file that you submit to Google Merchant Center containing all of your product information: rich data about your products, such as product names, product descriptions, sizes, colors, prices, etc. How Do I Optimize My Google Shopping Data Feed? 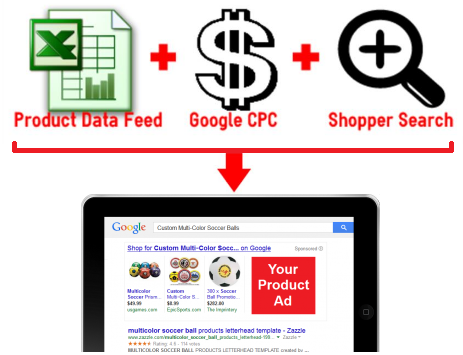 Google determines which Product Ads to display based on Google AdWords cost-per-click (CPC) bids and product information from seller’s Google Shopping product data feeds. Google matches your product data against the search terms used by the shopper. Knowing this information, PrestoSell helps our clients focus their efforts on optimizing the information in their product data. You can do this by using product titles and product descriptions in your Google Shopping data feed which include the information shoppers are looking for most. When creating product titles and product descriptions, it’s important to keep in mind the specific information and keywords that shoppers are searching with (e.g. brand, size, MPN, UPC, category name (i.e. ‘model rockets’) etc.). It is critical that sellers do some research and/or use a system that helps optimize your product titles and descriptions. Google reads the importance of words within the product title from left to right. Historically we have found that Google identifies the first keywords in the product title as more relevant – therefore those keywords receive more weight when Google chooses which items to display. 4. Test different product titles to see how they perform over time. You can always make changes to your titles if necessary after a trial period. Product descriptions are similar to product titles in that you want to create descriptive keywords/terms in order of importance from left to right and top to bottom. Descriptions should be formatted based on what users are searching for. 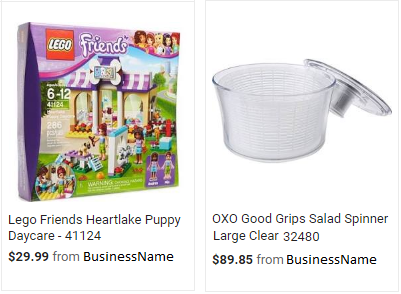 Descriptions that contain text mentioning “deals” or incentives sound like a good idea, but results have shown that this type of information is less important to an online shopper than concrete search keywords/terms. If your product title is already optimized from left to right for search term importance, you may want to add a rewording of your product title to the beginning of your current product description. If your product title is “Stuffed Friends Fuzzy Stuffed Rabbit – Super Soft in White Fur – XZY12345″, then you may wish to add the following to the beginning of your product description: ”White Fuzzy Stuffed Rabbit from Stuffed Friends”. If you’d like to know more about how to optimize your Google Shopping data feed, please contact us for more information. We are here to help! ← How Much Does Google Shopping Cost? → Do Google’s Shopping campaigns work?